The game is now discounted in the US to $0.10 and in Canada to CAD 0.20. Hurry up and grab it. Thanks, Sybil Smith. It's monday already and even though the week has barely started, the stress of work and life might already be taking a toll on you. 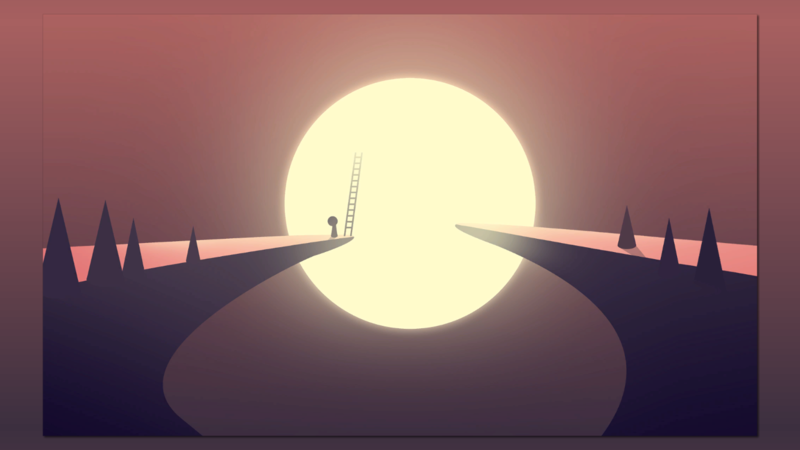 If you're looking for a way to unwind, there's a sweet and beautiful zen puzzler waiting for you in the Play Store and at a super cheap price too. After all, I wouldn't dare stress you further by making you pay a lot of money. Zenge, which is only a couple of months old, tells the story of a lonely journeyman Eon through different puzzles that you have to put together piece by piece and in the correct order. There are rotations and flips involved too, to keep things a little challenging. But the game remains relaxed thanks to a lack of point systems, time counters, or other distractions. It just added Play Games leaderboards and achievements, but it's all up to you whether you want to get a bit competitive about it or not. Zenge normally costs $0.99 (or the equivalent sum) with no IAP, but it's being reduced now to 10 or 20 cents in a few countries: 0.10 GBP in the UK, 0.10 EUR in France, Germany, Italy, and Spain, and 0.20 AUD in Australia. There might be other countries too that we haven't discovered, but we've verified that the discount doesn't apply to the US or Canada. This has actually been a common theme in recent 10 cent app and game discounts: the US hasn't been getting any love. I suppose that's OK since users there have plenty of other privileges that they can brandish over our heads, us mere mortals who live in less lucky countries.